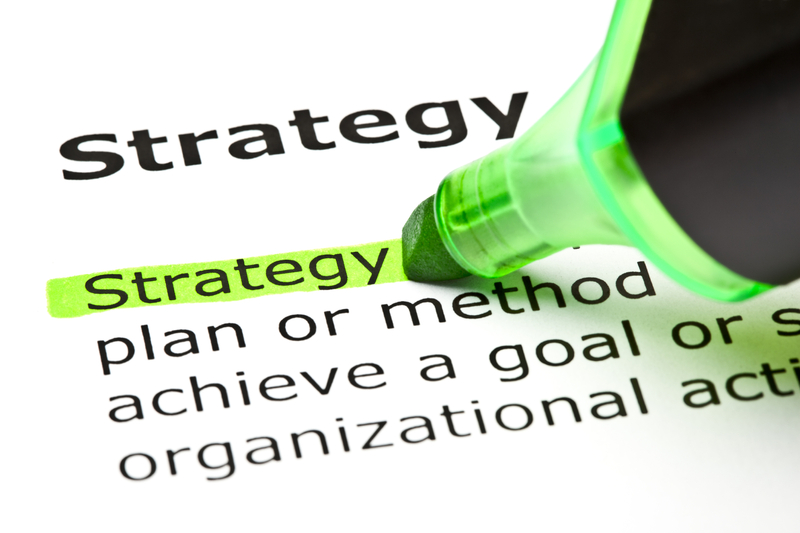 Is it better to have no strategy or a delusional strategy? The question arises, of course, after President Obama’s startling confession on Thursday that he has not yet developed a strategy for confronting the Islamic State, the al-Qaeda-rooted terrorist organization still often called by its former name, ISIS – an acronym for the Islamic State of Iraq and al-Sham. Al-Sham refers to Greater Syria. You may have noticed that President Obama calls the group ISIL, preferring the acronym that refers to the Levant to the one referring to al-Sham. After all, anything that invokes Syria might remind you of red lines that turned out not to be red lines and the administration’s facilitation of the arming of “moderate rebels” who turned out to include, well, ISIS. The fact is that the president has never had a Syria strategy, either — careening from Assad the Reformer, to Assad the Iranian puppet who must be toppled, to Assad who maybe we should consider aligning with against ISIS — ISIS being the “rebels” we used to support in Syria . . . unless they crossed into Iraq, in which case they were no longer rebels but terrorists . . . to be “rebels” again, they’d have to cross back into Syria or cruise east to Libya, where they used to be enemy jihadists spied on by our ally Qaddafi until they became “McCain’s heroes” overthrowing our enemy Qaddafi. No? Well, congratulations, you may have caught mental health, a condition to be envied even if it would disqualify you from serving as a foreign-policy and national-security expert in Washington. In either party. The Islamic State’s recent beheading of American journalist James Foley is not the only thing that captured Washington’s attention of late. The Beltway was also left aghast at the jihadisst’ rounding up of over 150 Syrian soldiers, forcing them to strip down to their underpants for a march through the desert, and then mass-killing them execution style. Shocking, sure, but isn’t that what the GOP’s foreign-policy gurus were telling us they wanted up until about five minutes ago? Not the cruel method but the mass killing of Assad’s forces. Nothing oh nothing, we were told, could possibly be worse than the barbaric Assad regime. As naysayers — like your faithful correspondent — urged the government to refrain from backing “rebels” who teem with rabidly anti-American Islamic-supremacist savages, top Republicans scoffed. It was paramount that we arm the rebels in order to oust Assad, even though “we understand [that means] some people are going to get arms that should not be getting arms,” insisted Bob Corker (R., Tenn.), ranking member on the Senate Foreign Relations Committee. Turns out that quite a lot of people who shouldn’t have gotten arms have gotten quite a lot of arms. And that is because Syria is not the only place as to which Republicans urged Obama to ignore federal laws against arming and otherwise supporting terrorists. They did it in Libya, too. We have several times documented here that influential Republicans led by Senator John McCain were champions of Moammar Qaddafi before they suddenly switched sides — along with President Obama — in campaigning to oust the Libyan regime they had only recently treated (and funded) as a key American counterterrorism ally. The resulting (and utterly foreseeable) empowerment of Islamic supremacists in eastern Libya directly contributed to the Benghazi Massacre of four Americans on September 11, 2012; to the rise of the Islamic State and the expansion of al-Qaeda franchises in Africa, all of which were substantially strengthened by the jihadist capture of much of Qaddafi’s arsenal; and to what has become the collapse of Libya into a virulently anti-American no-man’s land of competing militias in which jihadists now have the upper hand. The disastrous flip-flop was no surprise. When Mubarak fell in Egypt, Senator McCain stressed that the Brotherhood must be kept out of any replacement government because the Brothers are anti-democratic supporters of repressive sharia and terrorism. He was right on both scores . . . but he soon reversed himself, deciding that the Brotherhood was an outfit Americans could work with after all — even support with sophisticated American weaponry and billions in taxpayer dollars. The Brothers were in power because, in the interim, McCain’s good friend Secretary Clinton pressured Egypt’s transitional military government to step down so the elected “Islamic democracy” could flourish. When the Brothers took the reins, they promptly installed a sharia constitution, demanded that the U.S. release the Blind Sheikh (convicted of running a New York–based terror cell in the 1990s), rolled out the red carpet for Hamas (the terror organization that is the Brotherhood’s Palestinian branch), and gave free reign to terrorist leaders — including the brother of al-Qaeda’s leader and members of the Blind Sheikh’s Egyptian jihadist organization — who proceeded to foment the violent rioting at the U.S. embassy in Cairo the same day as the Benghazi Massacre. I could go on, but you get the point. While ripping Obama for having no Islamic State strategy, Republicans are now reviving the inane strategy of supporting the illusory “moderate Syrian opposition.” Those would be the same forces they wanted to support against Assad. The only problem was that there aren’t enough real moderates in Syria to mount a meaningful challenge to the regime. The backbone of the opposition to Assad has always been the Muslim Brotherhood, and the most effective fighters against the regime have always been the jihadists. So we’re back to where we started from: Let’s pretend that there is a viable, moderate, democratic Syrian opposition and that we have sufficient intelligence — in a place where we have sparse intelligence — to vet them so we arm only the good guys; and then let’s arm them, knowing that they have seamlessly allied for years with the anti-American terrorists we are delegating them to fight on our behalf. Perfect. There is no excuse for a president of the United States to have no strategy against an obvious threat to the United States. But at least with Obama, it is understandable. He is hemmed in by his own ideology and demagoguery. The main challenge in the Middle East is not the Islamic State; it is the fact that the Islamic State and its al-Qaeda forebears have been fueled by Iran, which supports both Sunni and Shiite terrorism as long as it is directed at the United States. 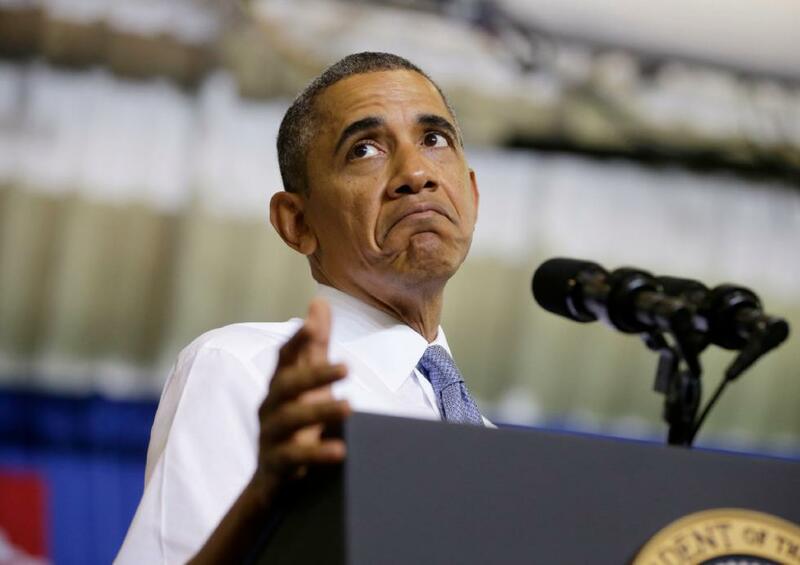 There cannot be a coherent strategy against Islamic supremacism unless the state sponsors of terrorism are accounted for, but Obama insists on seeing Iran as a potential ally rather than an incorrigible enemy. Moreover, the combined jihadist threat is not a regional one merely seeking to capture territory in the Middle East; it is a global one that regards the United States as its primary enemy and that can be defeated only by America and its real allies. This is not a problem we can delegate to the basket-case governments of Iraq and Afghanistan, or to the “moderate” Syrian “rebels.” Yet the Obama Left’s relentless indictment of American self-defensive action in the Middle East has sapped the domestic political support necessary for vigorous military action against our enemies — action that will eventually have to include aggressive American combat operations on the ground. But the GOP should take note: The jihad is not a problem we can delegate to the Muslim Brotherhood, either. We will not defeat our enemies until we finally recognize who they are — all of them. Prior to the U.S. and NATO backed intervention, Libya had the highest standard of living of any country in Africa. This according to the U.N.’s Human Development Index rankings for 2010. However in the years following the coup, the country descended into chaos, with extremism and violence running rampant. Libya is now widely regarded as failed state (of course those who were naive enough to buy into the propaganda leading up to the war get defensive when this is said). Now after Gaddafi was overthrown, the Libyan armories were looted, and massive quantities of weapons were sent by the Libyan rebels to Syria. The weapons, which included anti-tank and anti-aircraft missiles were smuggled into Syria through Turkey, a NATO ally. The times of London reported on the arrival of the shipment on September 14th, 2012. (Secondary confirmation in this NYT article) This was just three days after Ambassador Chris Stevens was killed by the attack on the U.S. embassy in Benghazi. Chris Stevens had served as the U.S. government’s liaison to the Libyan rebels since April of 2011. While a great deal media attention has focused on the fact that the State Department did not provide adequate security at the consulate, and was slow to send assistance when the attack started, Pulitzer Prize winning journalist Seymour Hersh released an article in April of 2014 which exposed a classified agreement between the CIA, Turkey and the Syrian rebels to create what was referred to as a “rat line”. The “rat line” was covert network used to channel weapons and ammunition from Libya, through southern turkey and across the Syrian border. Funding was provided by Turkey, Saudi Arabia and Qatar. The U.S. and its allies were now fully focused on taking down Assad’s government in Syria. As in Libya this regime change was to be framed in terms of human rights, and now overt support began to supplement the backdoor channels. The growing jihadist presence was swept under the rug and covered up. However as the rebels gained strength, the reports of war crimes and atrocities that they were committing began to create a bit of a public relations problem for Washington. It then became standard policy to insist that U.S. support was only being given to what they referred to as “moderate” rebel forces. Moderate rebels? Well it’s complicated. Not that this should really come as any surprise. Reuters had reported in 2012 that the FSA’s command was dominated by Islamic extremists, and the New York Times had reported that same year that the majority of the weapons that Washington were sending into Syria was ending up in the hands Jihadists. For two years the U.S. government knew that this was happening, but they kept doing it. And the FSA’s ties to Al-Nusra are just the beginning. In June of 2014 Al-Nusra merged with ISIS at the border between Iraq and Syria. So to review, the FSA is working with Al-Nusra, Al-Nusra is working with ISIS, and the U.S. has been sending money and weapons to the FSA even though they’ve known since 2012 that most of these weapons were ending up in the hands of extremists. You do the math. In that context, the sarin gas attacks of 2013 which turned out to have been committed by the Syrian rebels, makes a lot more sense doesn’t it? If it wasn’t enough that U.N. investigators, Russian investigators, and Pulitzer prize winning journalist Seymour Hersh all pinned that crime on Washington’s proxies, the rebels themselves threatened the West that they would expose what really happened if they were not given more advanced weaponry within one month. In February of 2014, Haaretz reported that the U.S. and its allies in the region, Saudi Arabia, Jordan and Israel, were in the process of helping the Syrian rebels plan and prepare for a massive attack in the south. According to Haaretz Israel had also provided direct assistance in military operations against Assad four months prior (you can access a free cached version of the page here). This is a blatant violation of the Geneva conventions. It also runs contrary to conventional military strategy. In conventional military strategy soldiers are better off left wounded, because this ends up costing the enemy more resources. Executing captured enemy soldiers is the kind of tactic used when you want to strike terror in the hearts of the enemy. It also just happens to be standard operating procedure for ISIS. Massive quantities of American military equipment were seized during that operation. ISIS took entire truckloads of humvees, they took helicopters, tanks, and artillery. They photographed and video taped themselves and advertised what they were doing on social media, and yet for some reason Washington didn’t even TRY to stop them. U.S. military doctrine clearly calls for the destruction of military equipment and supplies when friendly forces cannot prevent them from falling into enemy hands, but that didn’t happen here. ISIS was allowed to carry this equipment out of Iraq and into Syria unimpeded. The U.S. military had the means to strike these convoys, but they didn’t lift a finger, even though they had been launching drone strikes in Pakistan that same week. Though Obama plays the role of a weak, indecisive, liberal president, and while pundits from the right have had a lot of fun with that image, this is just a facade. Some presidents, like George W. Bush, rely primarily on overt military aggression. Obama gets the same job done, but he prefers covert means. Not really surprising considering the fact that Zbigniew Brzezinski was his mentor. By the way Osama bin Laden was one of these anti-Soviet “freedom fighters” the U.S. was funding and arming. This example doesn’t just establish precedent, what we’re seeing happen in Iraq, Afghanistan and Syria right now is actually a continuation of a old story. Al-Nusra and ISIS are ideological and organizational decedents of these extremist elements that the U.S. government made use of thirty years ago. The U.S. the went on to create a breeding ground for these extremists by invading Iraq in 2003. Had it not been for the vacuum of power left by the removal and execution of Saddam, Al-Qaeda in Iraq, aka ISIS, would not exist. And had it not been for Washington’s attempt at toppling Assad by arming, funding and training shadowy militant groups in Syria, there is no way that ISIS would have been capable of storming into Iraq in June of 2014. On every level, no matter how you cut it, ISIS is a product of U.S. government’s twisted and decrepit foreign policy. Now all of this may seem contradictory to you as you watch the drums of war against ISIS begin to beat louder and the air strikes against them are gradually widened http://www.wjla.com/articles/2014/08/president-obama-considers-possible-…). Why would the U.S. help a terrorist organization get established, only to attack them later? Well why did the CIA put Saddam Hussein in power in 1963?, Why did the U.S. government back Saddam in 1980 when he launched a war of aggression against Iran, even though they knew that he was using chemical weapons? Why did the U.S. fund and arm Islamic extremists in Afghanistan against the Soviets? There’s a pattern here if you look closely. This is a tried and true geopolitical strategy. Since ISIS largely based in Syria, this gives the U.S. a pretext to move into Syria. Sooner or later the U.S. will extend the airstrikes into Assad’s backyard, and when they do U.S. officials are already making it clear that both ISIS and the Syrian government will be targeted. That, after all, is the whole point. Washington may allow ISIS to capture a bit more territory first, but the writing is on the wall, and has been for some time now. The Obama administration has repeatedly insisted that this will never lead to boots on the ground, however, the truth of the matter is that anyone who understands anything about military tactics knows full well that ISIS cannot be defeated by airstrikes alone. In response to airstrikes ISIS will merely disperse and conceal their forces. ISIS isn’t an established state power which can be destroyed by knocking out key government buildings and infrastructure. These are guerrilla fighters who cut their teeth in urban warfare. Right now, Assad is the last bastion of stability in the region. He is the last chance they have for a moderate non-sectarian government and he is the only hope of anything even remotely resembling democracy for the foreseeable future. If Assad falls, Islamic extremist will take the helm, they will impose shari’ah law, and they will do everything in their power to continue spreading their ideology as far and wide as they can. 1. First and foremost, the U.S. government and its allies must be heavily pressured to cut all support to the rebels who are attempting to topple Assad. Even if these rebels that the U.S. is arming and funding were moderate, and they’re not, the fact that they are forcing Assad to fight a war on multiple fronts, only strengthens ISIS. This is lunacy. Now obviously this support isn’t going to come from the U.S. or any NATO country, but there are a number of nations who have a strategic interest in preventing another regime change and chaotic aftermath. If these countries respond promptly, as in right now, they could preempt a U.S. intervention, and as long this support does not include the presence of foreign troops, doing so will greatly reduce the likelihood of a major confrontation down the road. 3. The U.S. government and its allies should should be aggressively condemned for their failed regime change policies and the individuals behind these decisions should be charged for war crimes. This would have to be done on an nation by nation level since the U.N. has done nothing but enable NATO aggression. While this may not immediately result in these criminals being arrested, it would send a message. This can be done. Malaysia has already proven this by convicting the Bush administration of war crimes in abstentia. That perspective is quite common, and for most people, it’s paralyzing, but the truth of the matter is that we can influence this. We’ve done it before, and we can do it again. I’ll be honest with you though, this isn’t going to be easy. To succeed we have to start thinking strategically. Like it or not, this is a chess game. If we really want to rock the boat, we have to start reaching out to people in positions of influence. This can mean talking to broadcasters at your local radio station, news paper, or t.v. station, or it can mean contacting influential bloggers, celebrities, business figures or government officials. Reaching out to current serving military and young people who may be considering joining up is also important. But even if it’s just your neighbor, or your coworker, every single person we can reach brings us closer to critical mass. The most important step is to start trying. If you are confused about why this is all happening, watch this video we put out on September 11th, 2012. (Reuters) – Iran has stopped selling crude to British and French companies, the oil ministry said on Sunday, in a retaliatory measure against fresh EU sanctions on the Islamic state‘s lifeblood, oil. “Exporting crude to British and French companies has been stopped … we will sell our oil to new customers,” spokesman Alireza Nikzad was quoted as saying by the ministry of petroleum website. Iran’s oil minister said on February 4 that the Islamic state would cut its oil exports to “some” European countries. Industry sources told Reuters on February 16 that Iran’s top oil buyers in Europe were making substantial cuts in supply months in advance of European Union sanctions, reducing flows to the continent in March by more than a third – or over 300,000 barrels daily. 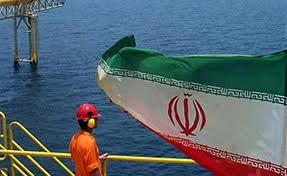 France’s Total has already stopped buying Iran’s crude, which is subject to fresh EU embargoes. Market sources said Royal Dutch Shell has scaled back sharply. Motor Oil Hellas of Greece was thought to have cut out Iranian crude altogether and compatriot Hellenic Petroleum along with Spain’s Cepsa and Repsol were curbing imports from Iran. Brent crude oil prices were up $1 a barrel to $118.35 shortly after Iran’s state media announced last week that Tehran had cut oil exports to six European states. The report was denied shortly afterwards by Iranian officials. “We have our own customers … The replacements for these companies have been considered by Iran,” Nikzad said. EU’s new sanctions includes a range of extra restrictions on Iran that went well beyond U.N. sanctions agreed last month and included a ban on dealing with Iranian banks and insurance companies and steps to prevent investment in Tehran’s lucrative oil and gas sector, including refining. The mounting sanctions are aimed at putting financial pressure on the world’s fifth largest crude oil exporter, which has little refining capacity and has to import about 40 percent of its gasoline needs for its domestic consumption.